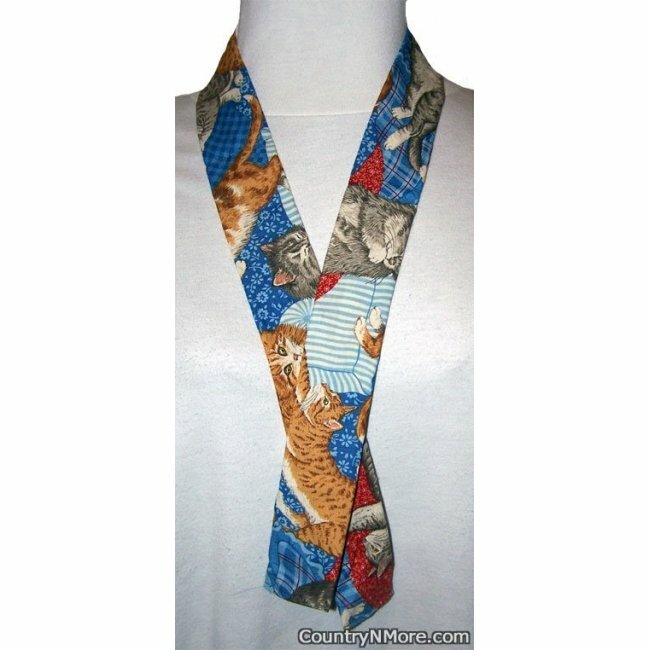 This adorable and colorful cat neck cooler is perfect for the cat lover. Different brown, and gray cats are lounging on their beds, while other cats are stretching. While some of the beds are made from blue and red plaid, others beds are made from blue and white stripe fabric, or blue floral or red bandanna prints. This neck cooler has 4 separate compartments with cooling crystals.